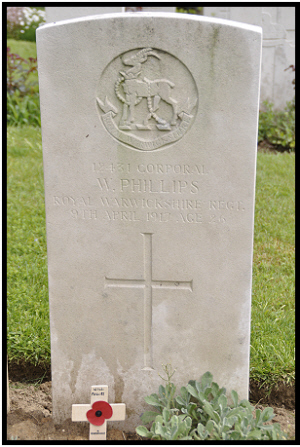 William Phillips was born in Ousden on 21st May 1889, (Newmarket Q3-1889 3B:531 ), baptised in St Peter's, Ousden on 18th August 1889, son of William and Kate PHILLIPS (née SANDERS). 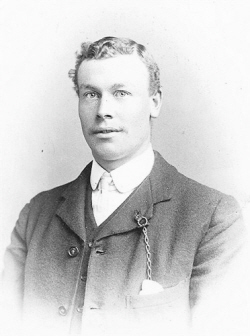 1891 census...Aged 2, he was at Mill Lane, Ousden with his father William PHILLIPS  labourer, born Kedington; his mother Kate  born Horringer and sister Amelia  born Ousden. 1901 census...Aged 12, he was at Front Street,Ousden with his parents (father now a horsekeeper, sisters Amelia, Nora  and Gertrude  and brother Patrick [11 months]. All the children were born in Ousden. His grandson relates how the family was struck by ill fortune. 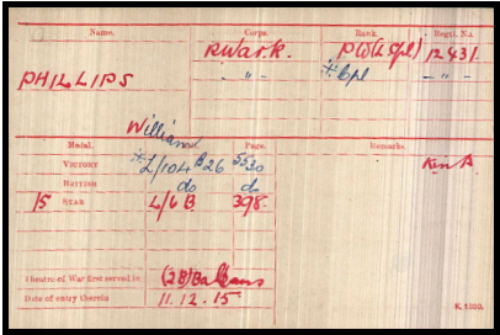 Despite William's sacrifice, his own father William Phillips died in 1918 in Newmarket workhouse. 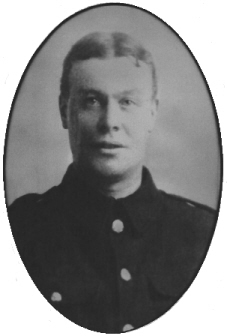 His widow Rose must have had very difficult war years, her father (Solomon) died 1915, William 1917, her mother (Rhoda) 1917 and her son Ernest (known as Ernie) 1918. For some, these were not the good old days. William - centre - back photo:- courtesy grandson Bruce. 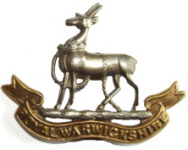 06:45 Moved off with 2nd Seaforth Highlanders in lead, Household Battalion in rear route via ??. 09:05 Battalion reached assembly area, shovels and picks and two sandbags per man issued. Dinners issued. 12:20 Battalion working and carrying parties moved off for their various rendezvous. 13:30 Battalion Headquarters moved off and proceeded to BLUE Line next 12 Brigade track. 16:30 Battalion Headquarters arrived Blue Line. 11:30 Blue Line taken. Large numbers of German prisoners coming in. 16:00 Brown Line captured and consolidated. Prisoners still coming in. 12 Brigade headquarters are 100 yards N of ours. Advance troops hold a line just E of Fampoux. cold day, snow.
. Very cold night still some snow. 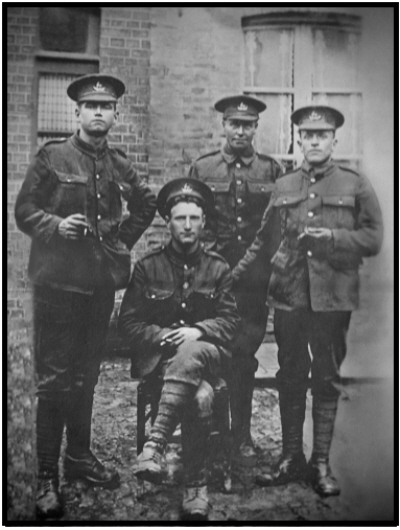 The 1st Battalion only lost three men in this foray. 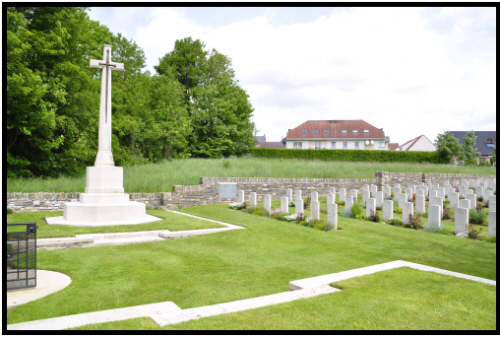 Further south, on the Somme, the 2nd/7th lost 19.
and also commemorated on the Barrow war memorial.